Slice the chicken into 1/4 inch strips. Toss into a bowl or a ziplock bag. Add the spices, and if using, the honey, vinegar, syrup paprika and olive oil (this oil is purely to help the spices spread and stick). Heat up remaining oil in a skillet over medium heat. Put the chicken into the skillet. Cook for roughly 5-10 minutes (stirring occasionally) or until chicken is cooked through. While chicken is cooking, prep your garnish and lettuce leaves. 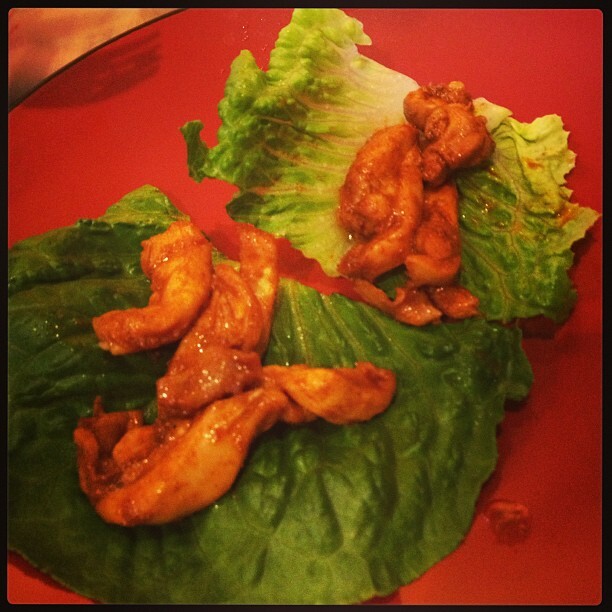 Serve the chicken in the lettuce cups, garnish as desired. Previous post: “What the ruck, cover your mouth when you burpee” Challenge.